What a great weekend at Beaver Creek Park! There was plenty of relaxation, laughter, and great food. 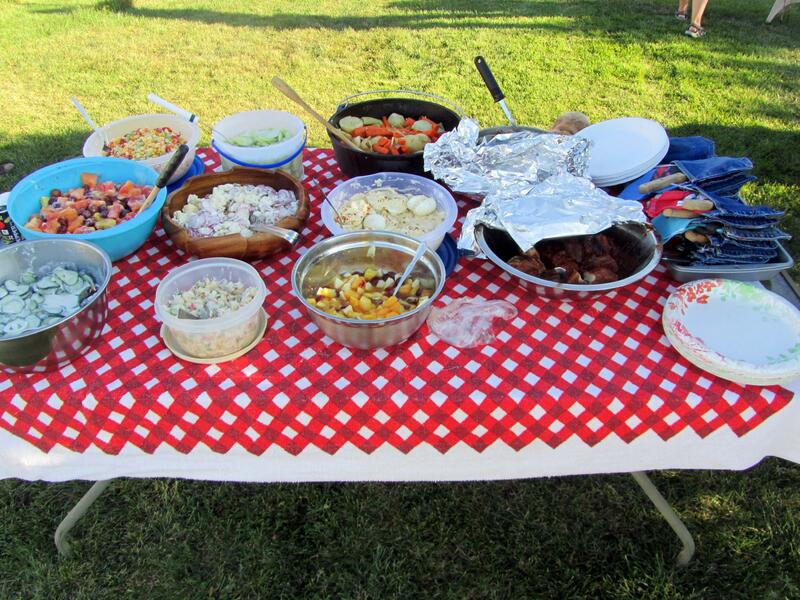 We cooked for the masses and guests stopped by the cabin throughout the afternoon and evening. 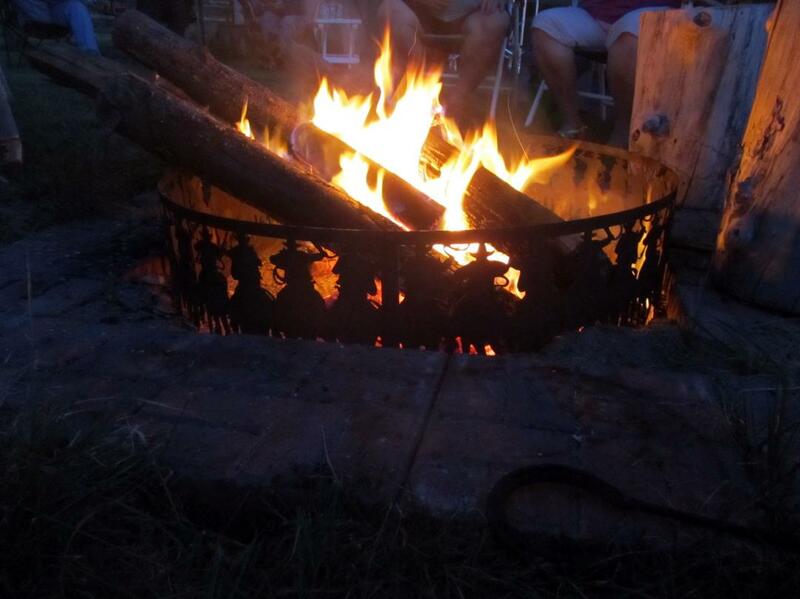 Everyone brought their appetites and best campfire stories. My favorite part of the evening was bedtime. 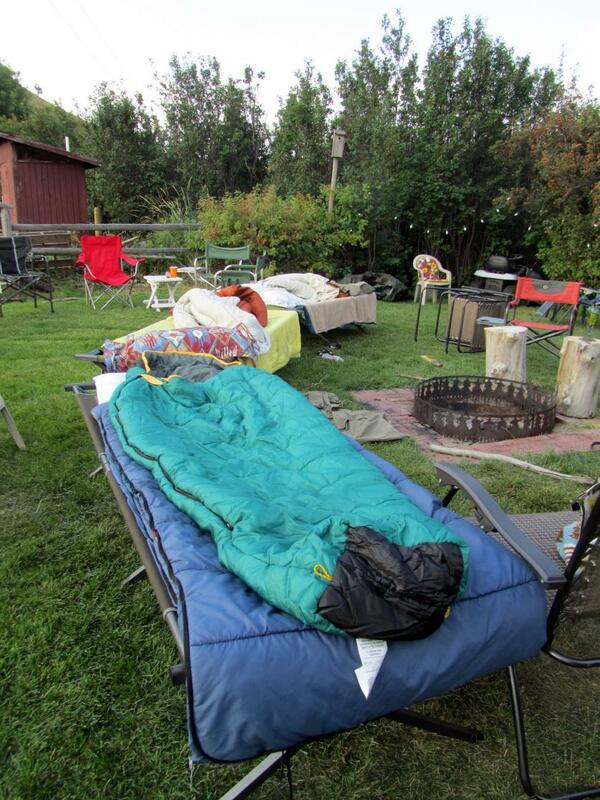 My mom, aunt, and I pulled up cots around the campfire and slept under the stars. It took me forever to fall asleep because I just couldn’t stop staring at the sky with a big goofy grin on my face. Montana isn’t just the Big Sky State during the day; the night sky is amazing! The Milky Way stretched across the sky and I saw at least a dozen shooting stars. I finally fell asleep to the sound of the coyotes howling. 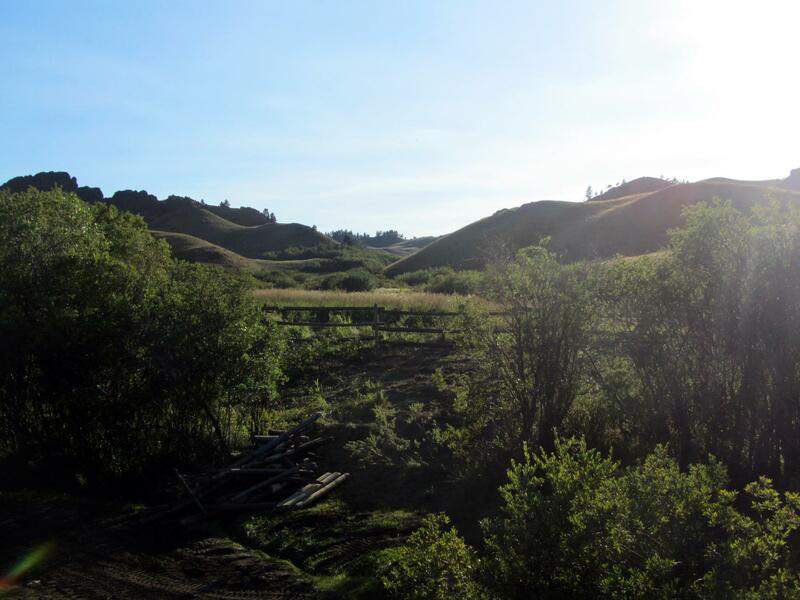 In the morning I decided to go for a walk through the meadow, but the hill behind the cabin was calling my name. I grabbed the dogs’ favorite squeak toy and headed up the hill with Amigo and Chester in hot pursuit. Only Chester followed me all the way to the top. 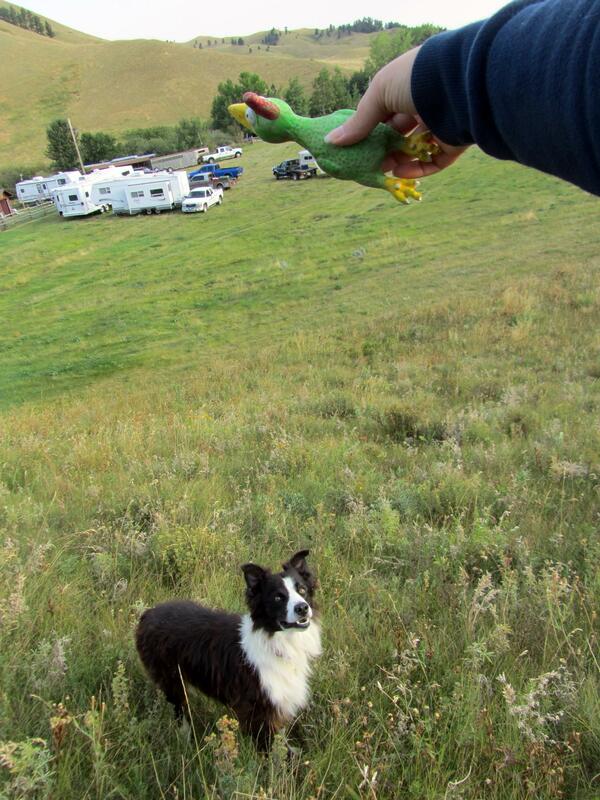 He was so proud he was the one to get the squeak toy that he strutted all the way back down the hill to show everyone back at the camp. Tomorrow it’s off to Glacier Park! What a perfect way to spend the day! Yummy looking lunch too! I love eating outside! It was pretty amazing! Like an animal returning to the wild, I could feel the social pressures just slipping away throughout the weekend. My favorite part was sleeping under the stars! It was just so gorgeous and the coyotes howling behind us made it all the more special! I know, it is wonderful eh? I just spend the past weekend camping in a tent on the Kennebec River in Maine. The flowing waters lulled me to sleep every night. It was perfect! That does sound perfect! Oh and by the way I did get to hang out with some Canadians over the weekend. 🙂 They have a cabin a few doors down from my aunt.